Selling gift cards online is a fantastic way to get the most out of them. If you’ve been given a card you don’t need, you don’t have to just let it sit around until it expires – you can sell it online for cash! The online marketplace for buying and selling gift cards has been growing at a rapid pace over the last several years, as consumers realize the value of getting rid of unwanted cards. However, this has not been without its drawbacks. Every industry has its scammers and unsavory businesses – and unfortunately, there are many of these scammers in the world of buying and selling gift cards. While gift card buyers like EJ Gift Cards are totally above-board, offering great rates and easy sales processes, there are other gift card buyers who are not so honest, and may be trying to scam you – or even infect your computer with malware or viruses. So in this post, we’re going to take a look at some of the best ways you can ensure that you stay safe online while trying to sell your gift cards. These 10 tips will help you avoid scammers, viruses, and malware – and have an easier time getting rid of your unwanted gift cards. Most scammy websites offer incredible rates for gift cards – often in excess of 90-95% of the face value of the card. There’s a reason that these rates sound too good to be true – they are. Sound judgment is the enemy of a scammer – if you take the time to think through a situation, you likely won’t fall for a scam. That’s why scammy gift card buying websites often offer fantastic rates. The high face value percentages that they offer for your gift cards can briefly overwhelm your common sense. If this happens, you’re more likely to fall for their scam, as you’ll be too excited about the money you’re making to ensure that the deal is legitimate. Other scammy gift card buying websites may offer mailing lists, or send you promotions for “free” gift cards. You should be wary of this, as well – legitimate companies aren’t in the habit of giving away free stuff to all of their customers. Be suspicious if you visit a website that has a lot of special offers – especially if they require personal information or payment details. You should never just give away your personal information on a gift card buying website. Of course, you’ll need to register with each one of these sites to actually sell your cards – but that’s a different matter, and usually, the information required will be basic information like your name, street address, and PayPal or payment information. However, you should never be required to register with a gift card buying website just to get a quote – and no legitimate site will ever ask you for information like your social security number, or other personal information. If you run across a gift card buyer that requires this, exit the site immediately – they could be trying to steal your identity. Some scammy gift card buyers offer great deals on both buying and selling gift cards – as long as you complete a survey. These websites are usually not legitimate, as surveys are often a method by which they can make you download a particular file, visit a website, or take your personal information. If a gift card buyer makes you fill out a survey just to use their services, you should question their business model. Most people aren’t going to fill out the survey and then sell their card – so how are they making a profit? The answer is usually fraud, identity theft, or a combination of both. Browsing customer reviews is one of the most simple ways by which you can almost guarantee that you’re doing business with a legitimate gift card buyer. If you see that a large majority of customers have had a positive, easy gift card selling experience, you can be relatively sure that you’re dealing with an above-board, savvy company. If, however, there are many complaints about the service, business practices, and customer support services of a gift card buying website, you might be dealing with a scammer – or just a shoddy business. In either case, you’ll want to avoid doing business with that website. At best, you’ll get poor service, and at worst, you could get your personal information stolen, or have your computer infected with a virus. Checking the age of a website domain can be a helpful way of determining the legitimacy of an online gift card buyer. It’s important to note that the age of a particular company isn’t necessarily an indicator of how legitimate it is – but it can still be a useful metric when determining which companies you should do business with. For example, if you find a gift card buyer that’s offering to buy gift cards for full-value, and their website is less than 30 days old, you could be dealing with a scammer. Scammers can’t do business under the same name for a long time – customers become wary and will warn others. Because of this, scammy websites are often relaunched under new domains – and if you see that a gift card buyer has a very new domain registration, it could be a sign that you should avoid using their services. When’s the last time you talked to a scammer who had a great customer support team? Our bet is on “never”. If you’re browsing the website of a gift card buyer, check for customer support – if they have a listed phone number, give it a call. If they have a customer support form or an email address, send a message to it – before selling your card. If you get a quick reply from a friendly customer service representative, you’re doing business with a legitimate gift card buyer! Any gift card buyer that’s worth doing business with will have a great customer support team that will be willing to answer your questions and comments. However, scammers are unlikely to invest in customer support, so your emails will go unanswered – permanently. If you never receive a reply from a gift card buyer when you contact customer support, that’s a sure sign that you should avoid doing business with them. 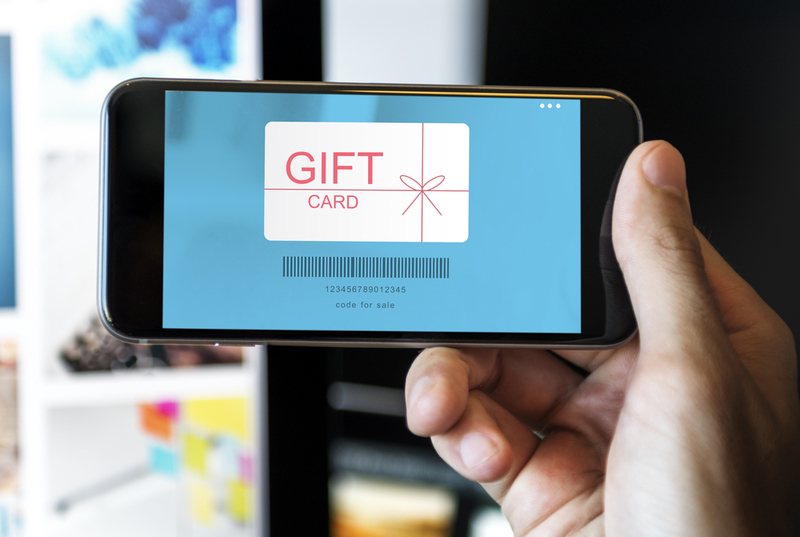 Legitimate gift card buyers don’t usually have ads on their website – they make their money by purchasing cards from individuals at below face value, and reselling them to others for a slightly higher price. So why would a gift card buyer have advertisements or “special offers” on their website? Simple – to trick you, steal your information, or infect your computer with malware or viruses. These websites often try to trick you into clicking on paid advertisements that can lead you to dangerous websites. For example, a scammy website may have two buttons that say “Click here to sell your gift cards!” One of them might lead to their gift card selling page – the other leads to a different page that requires you to download a file to “complete the selling process”. By tricking legitimate customers into clicking the wrong page, these websites can steal personal information and infect computers with dangerous malware. You never have to download anything to sell a gift card online – period. If a website asks you to download an application, piece of paperwork, or any other document, it’s a scam. At best, you’ll get infected with some malware that changes your homepage and monitors your browsing activity – at worst, you could get infected with a keylogger or other dangerous virus that monitors the actions you take on your computer, so that hackers can gain access to your personal information including emails, bank accounts, and credit card accounts. Downloads are the primary method by which your computer gets infected by viruses and malware, so you should be suspicious of any downloaded file. Even if it seems innocuous – a PDF file, for example – it could be hiding a dangerous, infected .EXE file which will steal your personal information and could damage your computer. So if we said it once, we’ll say it a dozen times – because this is important. Never download anything when selling gift cards online. There is no legitimate website that will require you to do so. If a gift card buyer has a professional, well-designed website, that’s a good sign. It’s expensive to invest in a great website, and to populate it with high-quality business information, content, and other information. A good-looking website that’s free of ads, extraneous links, and design flaws is a sign of investment – it takes a lot of time and money to create a great website, and legitimate companies are willing to do so, in order to gain more customers and grow their business. Scammers, on the other hand, don’t usually invest in high-quality websites. They’ll cobble together a basic website with limited information in order to save money, as they know that their website likely won’t remain on the internet for very long. So take a deep look at the website of your potential gift card buyer. Look for things like blog posts, FAQ sections, privacy policies, terms and conditions, “about us”, pages, and so on. These pages are a sign that a business is legitimate – and has spent time and money on fully developing its website. Even if a website you’re doing business with appears to be legitimate, you should check out how it prefers to pay out once you sell your cards. The best gift card buyers have no problem issuing immediate payments – PayPal and direct wire transfers are the most commonplace methods – so you should try to do business with a company that is willing to do so. If a gift card buyer avoids listing its payment options, or only uses check-based payments, that may be a sign that it’s a scam – after all, checks are slower, more expensive, and more difficult to use than PayPal and other payment methods. And while there are legitimate companies that pay out using checks, scammers tend to take advantage of check-based payments. The long issuing times and delivery times of checks allows them to accept the details of gift cards, “issue payments” that never arrive, and then delete their websites – effectively allowing them to steal your gift card balances. Following the above tips is sure to help you avoid scammers as you try to sell your gift cards, and explore the world of gift card buyers. We didn’t write this to scare you off from selling your gift cards – simply to help you as you determine which gift card buyers are right for your needs. However, the best way to avoid scammers when selling your gift cards is to choose the right direct gift card buyer. And if you’re looking to get rid of some gift cards you don’t want, EJ Gift Cards is the place for you. We offer simple selling methods, hassle free payment via PayPal, and a great customer support team – and we pledge to always be transparent and clear about our policies and business practices. When you sell with us, you’re safe. That’s a guarantee. So don’t wait. Get in touch with EJ Gift Cards about selling your gift cards today.